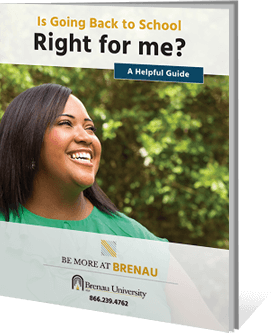 Available 100% online, Brenau University's flexible program is tailored to working professionals. Brenau University’s online bachelor of business administration program will help build your knowledge of foundational business principles. In this four-year program, you’ll apply the theories you learn in the classroom to practical real-world experiences you face every day at work. Being able to immediately use what you learn in the workplace is part of our commitment to providing you a relevant, high-quality business degree you can be proud of. In the online B.B.A. program you’ll earn a general Bachelor of Business Administration degree. You can also choose an optional major that further specializes your studies. If you choose a major, you’ll take classes specific to that topic as electives that complement your core business curriculum – and you’ll still graduate in the same amount of time. Customize your degree with the following optional majors.